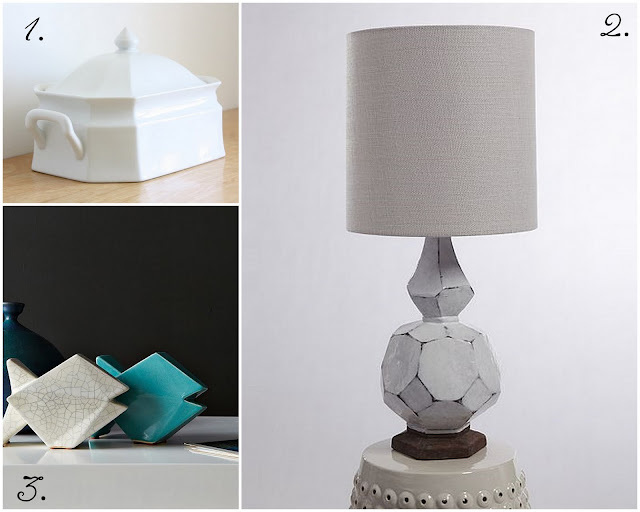 I have noticed a real trend of geometric and faceted looking decor as of late. I'm kinda diggin' it. I think it provides that bit of modern omph! that makes things interesting in a design. 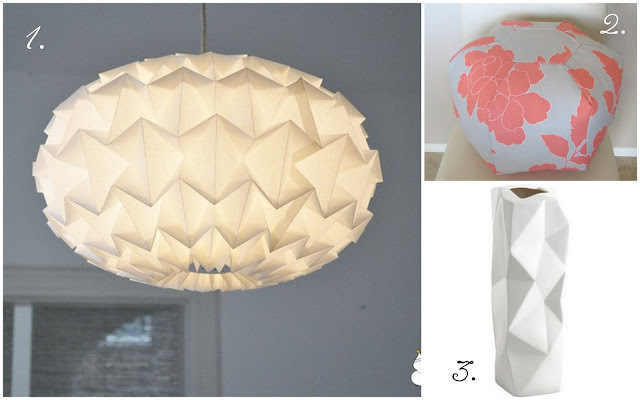 I put together several of my favorites here for you to check out. Whatcha think? Are you liking this trend? yep...i'm a sucker for this trend. 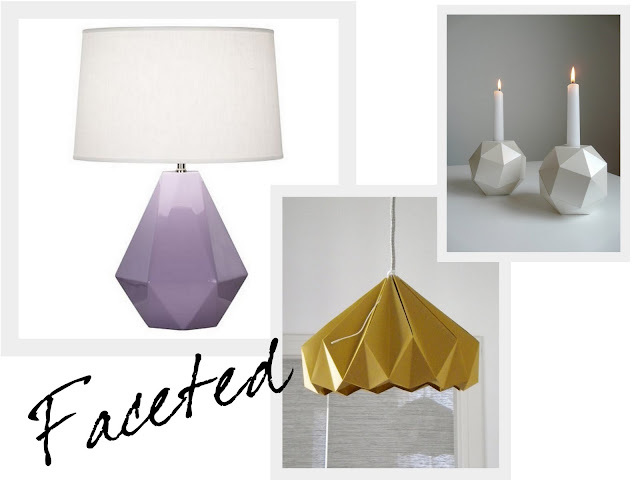 i am totally loving the faceted look... those Robert Abbey lamps are my FAV right now! I am s sucker for the look too! I want to buy a little of everything! I love it too! 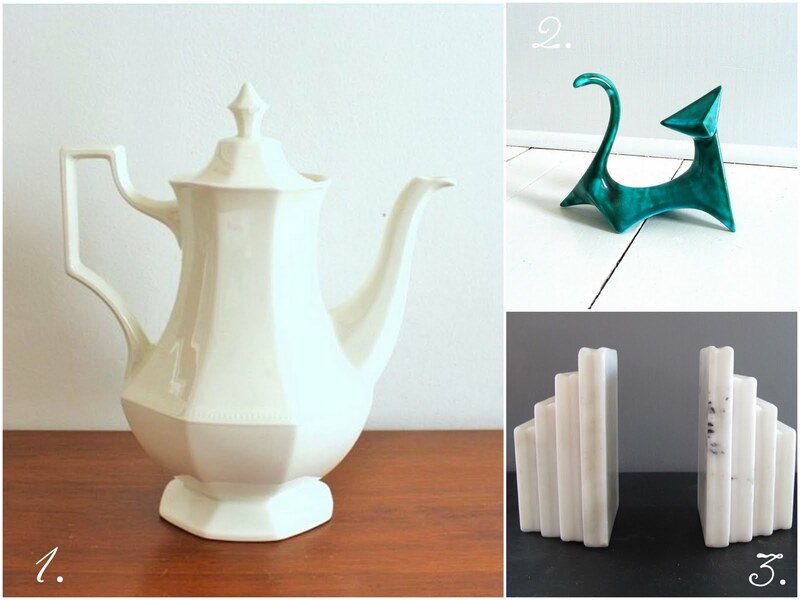 They look somehow both modern and retro at the same time. I especially like the first 2 sets. I've always been a fan of this look. I'm so pleased it's getting its time to shine!